...this frantic eight-piece is more like a cross between a funk-soul revue and an abstract jazz troupe: with a comb wedged into his voluminous Afro, band leader Questlove surveys proceedings from behind his drums like a benign ringmaster. 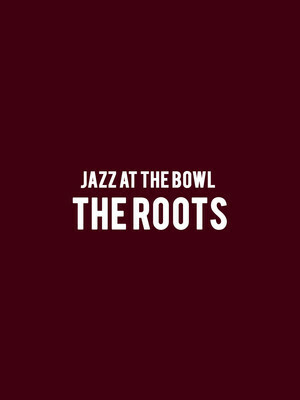 Why See Jazz at the Bowl - The Roots? Alongside fellow icons and Jazz at the Bowl headliners Michael McDonald, Chaka Khan, Ivan Lins, Ben Harper and Neneh Cherry, genre bending hip hop pioneers the Roots take to the historic Hollywood Bowl for one special night only. 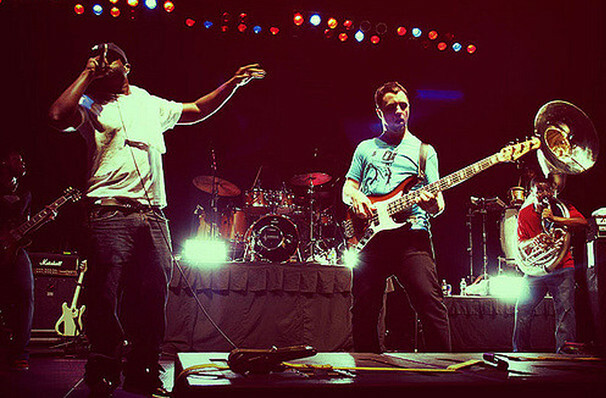 From their early debut in 1993 right through to their current partnership with Jimmy Fallon as the late night talk show host's house band, the innovative collective continues to break boundaries, fusing rap with R&B, jazz and electronica, as well as a fearless political commentary on black culture and society in America today. Formed in Philadelphia by founding members Ahmir 'Questlove' Thomson and Tariq 'Black Thought' Trotter, the outfit cut their teeth busking on the streets of Philly. Almost three decades, twelve studio albums and three Grammy Award-wins later, their devastating rhythmic flow has scaled the heights of cosmic-jazz funk and electronica thanks to a pioneering experimental spirit that consistently finds them on top of their game. Sound good to you? Share this page on social media and let your friends know about Jazz at the Bowl - The Roots at Hollywood Bowl. Please note: The term Hollywood Bowl and/or Jazz at the Bowl - The Roots as well as all associated graphics, logos, and/or other trademarks, tradenames or copyrights are the property of the Hollywood Bowl and/or Jazz at the Bowl - The Roots and are used herein for factual descriptive purposes only. We are in no way associated with or authorized by the Hollywood Bowl and/or Jazz at the Bowl - The Roots and neither that entity nor any of its affiliates have licensed or endorsed us to sell tickets, goods and or services in conjunction with their events.